Blackwell House | City of Canton, TX. 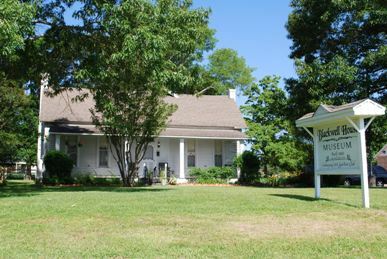 The Henry Fisher Blackwell II house, located on FM 859 (First Monday Lane) just one half mile north of Highway 64, is the oldest house in Canton. The house was built in 1886 by Mr. Blackwell and his wife, Nannie Jane Bartlett Blackwell. The house has been preserved as a museum and is available to rent for events such as weddings, receptions, etc. The Iris Garden Club of Canton maintains the beautiful gardens and lawn. For more information about museum hours or booking the museum for an event, call Donna Rakestraw at (903) 848-0675 or B.J. Cole at 903-802-5288. No alcohol is allowed.